Indian passport holders are now eligible for visa-on-arrival if they have a valid US visa or are Green Card holders. With an aim to advance the economic, political and trade relations between the UAE and India, a simplified visa process has been introduced that will also help the UAE to achieve its vision of becoming the market leaders of global tourism. According to an official statement, the citizens of India, who are holders of normal passports with valid green card or a visa of six months or more issued by the United States of America shall be granted entry on arrival visas to the UAE from all ports for a period of 14 days, subject to a single renewal for the same period upon payment of applicable fees. The UAE-India trade has grown to around USD 60 billion per annum according to latest figures, making India the second largest trading partner of UAE. The UAE exports to India totalled USD 27 billion while Indian exports to UAE totalled USD 33 billion. While the UAE is investing USD 10 billion in the Indian sectors of energy, metallurgical industry, services, technology and construction, India is investing about USD 70 billion in the UAE through 45,000 Indian companies. A number of UAE companies invest and operate in India such as Abu Dhabi Investment Authority (ADIA), Abu Dhabi National Energy Company (ADNEC), Emaar, and Dubai Ports World (DPP), which currently operates in six major ports in India. UAE is considered to be one of the most attractive destinations for Indians. The country received around 1.6 million Indian tourists in 2016 and 50,000 UAE tourists visited India on the same year. India was the top performing source market in both Dubai and Abu Dhabi last year. In Dubai, 1.8 million nationals arrived last year compared to 1.6 million in 2015 and in Abu Dhabi, which welcomed a record-breaking 4.4 million visitors in total in 2016, 323,388 were Indian. 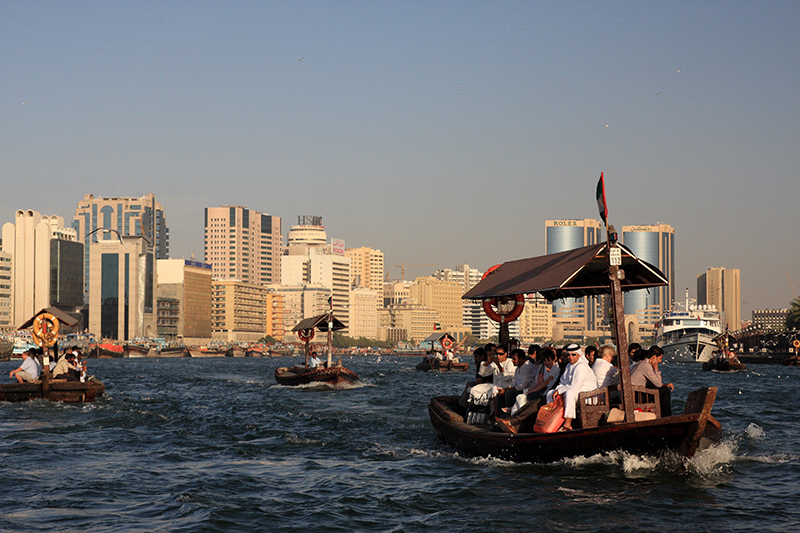 This marks an increase of 15 pc on 2015, according to the figures from Abu Dhabi Tourism and Culture Authority. Three million tourists visited Oman in 2016, of which 299,568 were Indian. Historically, over the last five years, Oman has seen a 60 pc increase in the total number of arrivals from India. There are about 143 flights per day between UAE and Indian cities further easing accessibility. With the UNWTO predicting 50 million Indians to travel overseas annually by 2020, India has been named the largest growing outbound tourism market in percentage terms. Keeping this data in mind, Indians can be hopeful that this visa-on-arrival option might soon extend to Indian passport holders, with or without a US visa. When is this coming into effect?